Few clients ask me how to start auto trading in Zerodha Pi platform. For them, I have prepared this post where you can get an in-depth idea on how you can start auto trading or also trading in Zerodha Pi platform. 1) Open Zerodha expert advisors page by clicking here. 2) Run your Zerodha Pi. 3) Create new expert advisor by clicking Artificial Intelligence –> Create new expert advisor. 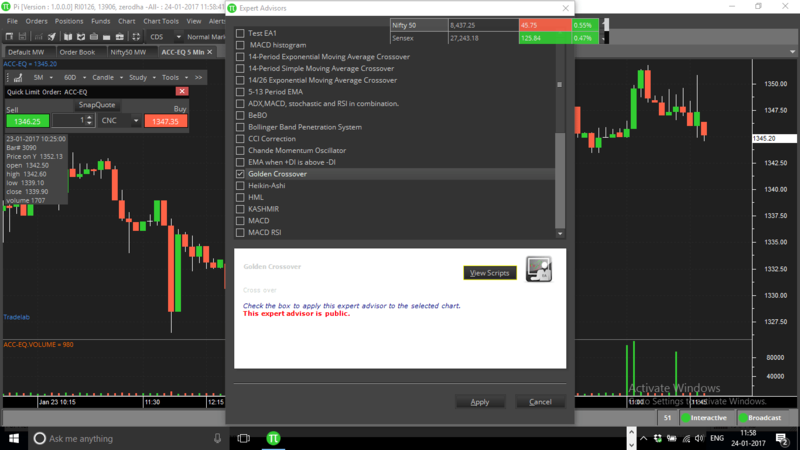 4) You can backtest your expert advisor or take it into live trading also. 5) You can also use ready-made expert advisors from Zerodha Expert Advisors page. 6) By default, retail traders can do semi-automated trading. If you want fully automated trading need to provide NCFM / NISM certificate to Zerodha and approve your strategy from the exchange. Remember, approving your strategy may take at least one month. 7) There can be some charges for semi-automated and fully automated trading. 8) For detailed information on the charges and expert advisor, you can write a mail to [email protected] OR post your queries to Trading QNA site. 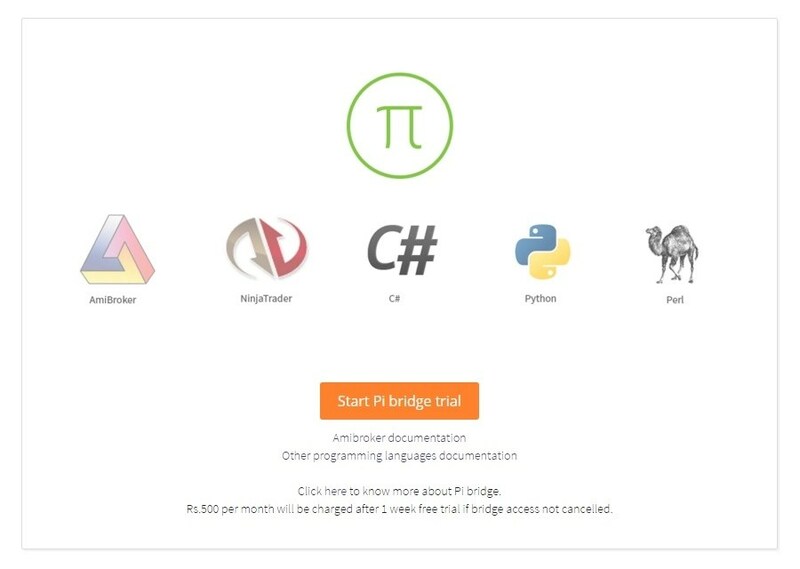 Using Zerodha Pi Bridge, Zerodha Pi can be connected to your favourite charting language like Amibroker, Ninja Trader OR even you can write your trading logic in your favourite programming languages like C#, Python or Perl and fire your trades directly into Zerodha Pi. You can also utilise or code two-way updates to and from Zerodha Pi. One way you can fire orders and on the other way you can get order updates, modify or delete orders or get your position updates. For accessing Pi Bridge you need to login to your back office Q and activate it from the Pi section of Q. Remember there can be some charges for using Zerodha Pi Bridge. For detailed information on the charges of Pi Bridge, you can write a mail to [email protected] OR post your queries to Trading QNA site. Thomas can you send your number OR contact us here. Suriya, first take a NCFM exam and get your certificate done from NSE in cash and FNO segment. Next apply to Zerodha with your certificate and sample strategy. It will take around 1 month to get your strategy approved from exchange and Zerodha will help you in this. Once that is done you can start full auto trading. The monthly charge for this payable to Zerodha is Rs. 6000 approx. Check with them for final charges. Autotrading will also be able to put orders that are permissible as per the exchange.